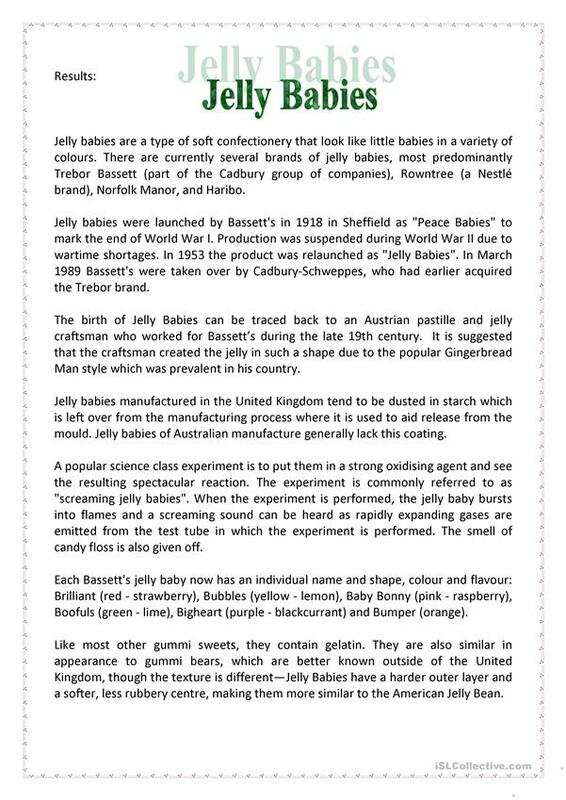 Reading and gap fill about Jelly babies, a popular sweet in Britain. Gap fill is aimed at general comprehension. 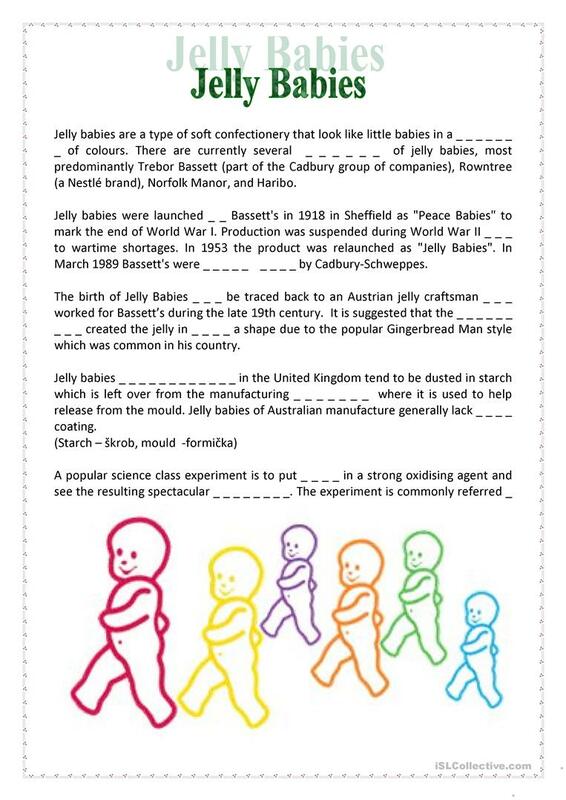 The above downloadable handout is meant for high school students, elementary school students and adults at Intermediate (B1) level. It can be used for honing your pupils' Reading skills. It is focused on the vocabulary topic of Food. It includes a key, too.